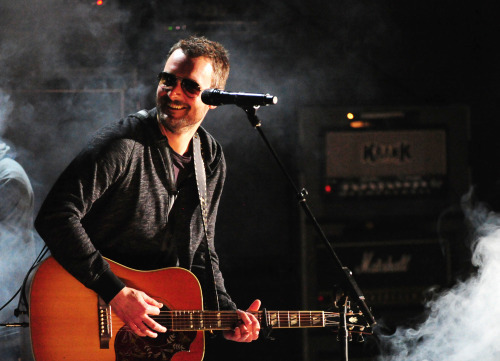 Surprising fans and press alike, Mr Misunderstood, the sixth album from Eric Church, was sent to members of his fan club on November 3rd. Slowly released to other outlets in the following days, Mr Misunderstood sees a return to the sound listeners would have heard in previous albums such as Chief and Carolina rather than the rock orientated sound that Eric's last release The Outsiders showcased. For anyone who was put off Eric's music by the overall sound of The Outsiders I would urge them not to completely discount Eric, Mr Misunderstood is proof of how talented he is as both a singer and a song-writer, whilst some of the songs still have a rocky edge to them, there are considerably more stripped back tracks and every single one of them sounds brilliant. I honestly didn't like The Outsiders so I was a little apprehensive to hear what Eric would release in his new album. I was, however, thrilled to hear Three Year Old, a track he has been playing as part of some his recent concerts before the album was released. Full of various anecdotes from his three year old son, the chilled, simple feel to the production allows for a real focus on the lyrics and Eric's heartfelt vocal. You really get a sense of the emotion behind the lyrics and you can't help but smile at the sweetness of it. Some of the cleverest lyrics in the album come in Kill A Word. With lines like "I'd knock out temptation's teeth" and "I'd put upset down in it's place" the lyrics come together to create a very compelling song that encourages you to pay close attention to every word. With a bluesy feel to the undoubtedly catchy melody Kill A Word fast becomes a track you are going to want to hear again and again, with strong vocals from featured artists Andrea Davidson and Rhiannon Giddens. The reggae feel to Holdin' My Own works surprisingly well, quickly becoming one of my favourites. "A heart that's still pretty crazy and a head that got sick of the noise" is one of my favourite lines from the album as a whole and the lyrics as a whole seems to hint why Eric has decided to stripped the production levels down with the release of this album and returned to a more country orientated sound. I feel as though every fan of any genre of music is going to connect with Record Year in one way or another. An interesting take on a break-up song, the track focuses on the idea of post break-up immersing yourself in music, lines such as "I'm either gonna get over you or I'm gonna blow out my ears" cementing that idea. It is also nice to see "if you find your way back I owe you a beer, for my record year" giving a sense that Record Year's protagonist is quite happy to find themselves in the situation they are in, giving a great feel to the overall track. The album's goose bump moment comes, in my opinion, from the intriguingly named Mixed Drinks About Feelings. Coming immediately after the rocky Chattangooga Lucy, the production shift is stark, with a piano hook introducing Eric's vocal - and it is that stripped back bluesy production that allows all the focus to be on the vocals (as it should be!) . Featured artist Susan Tedeschi's vocals blend perfectly with Eric's, this is one track where you can honestly become so immersed in the vocals that the song is over before you know it, gorgeous, wonderful job. I am both thrilled and relieved to hear this album. I'm a fan of Eric and was really disappointed to hear The Outsiders after ending up only liking two tracks. Mr Misunderstood has a mellow sense of maturity with a sprinkling of the rock feel Eric's 'sound' has always had. I can only hope this album does incredibly well for Eric, my only negative being that the album's title track seems to have a bit of a 'rambling' feel to it, there being distinctly less there to really draw the listener in compared to other tracks. Eric is set to close next year's Country To Country Festival in London, headlining day three. I would definitely be interested to see his set list, whether he will play the big, rocky numbers or gorgeous, slower tracks like we are treated to with this album. He's sure to put on a great performance either way! I truly can't recommend this album enough, Mr Misunderstood is, in my opinion, quite possibly the best album Eric has ever released. Buy it now. Labels: Eric Church "Mr Misunderstood"